The steps that I took when I began drawing this. 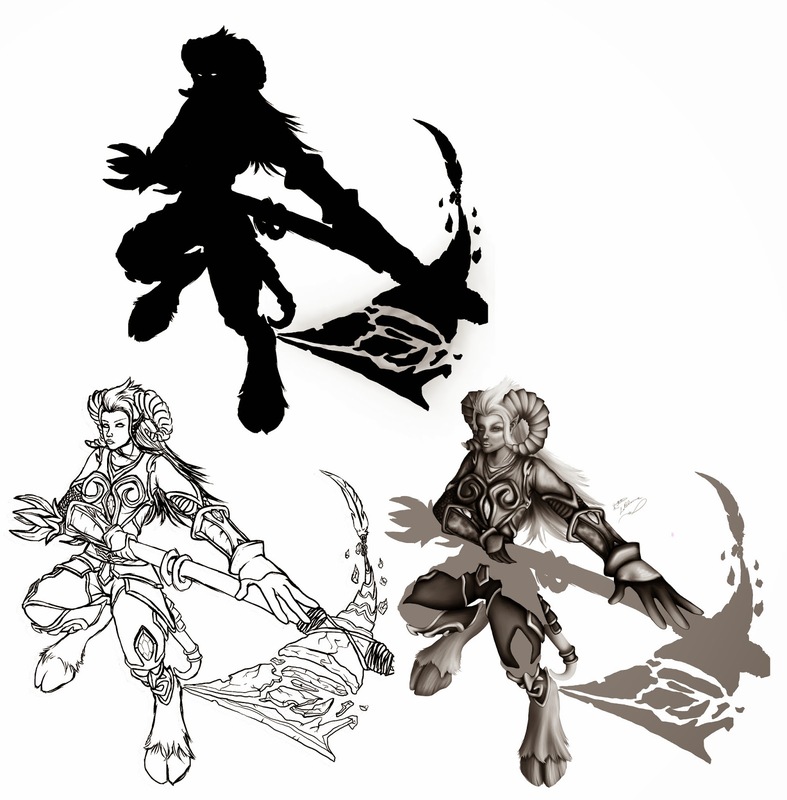 I began with the silhouette then I sketched over it. Using the magic wand and cell pen, I selected the silhouette and copied it. I changed the black to gray then placed the sketch over it. From that point on, I have been slowly working on the grayscale for her. As soon as i'm done with that step, I will color it in using both a shade layer and a luminosity layer. Hope you enjoy it!